It became clear again this week why it is critical that we have multiple providers to access Space. With the Progress 59 (M-27M) failure recently the International Partners involved in the ISS have now had to rescheduled several future flights to accommodate the loss of the vehicle and allow time for the investigation into the loss to determine impact on the future. As a result the Expedition 43 crew members Terry Virts, Samantha Cristoforetti and Anton Shkaplerov will be spending an extra month aboard the station and Expedition 44 crew members Oleg Kononenko, Kjell Lindgren and Kimiya Yui are now expected to launch in late July almost two months late. At present the Soyuz TMA vehicle is the only way for crewed missions to the ISS, this is set to change in 2017 when the Dragon 2 and CST-100 vehicles will begin servicing the station, assuming SpaceX and Boeing complete there contracts on time. While some people question the choice of SpaceX and Boeing for commercial crew services, especially the price awarded to the contractors it is clear that only selecting a single option would have left us with a similar situation should that single supplier fall behind schedule or suffer a failure that grounded the vehicle. By selecting two providers both for Cargo and Crew NASA are protecting there investment in ISS by ensuring access. This decision has already be justified with the failure of Orbital ATK’s Orb-3 mission last October. Due to the appeal by Sierra Nevada Corporation (SNC) of the CCtCap awards to Boeing and SpaceX both companies have been told to stop any work until the appeal process has been completed. SNC filed a complaint on 26th Sept 2014 with the Government Accountability Office (GAO), while full details of the complaint are not currently available the general summary appears to be related to irregularities with the selection process and the fact that their bid was $900m less than Boeing’s. The GAO has 100 days to review and rule on the appeal, at present there is no way to know what they could decide, at the minimum they could rule there is no basis in the complaint at worse they could rule that the contracts are invalid and require the process to be done again. So what impact does this have on the Commercial Crew program for NASA. Depending on the GAO’s decision it could either result in a slight delay or at worse could push Commercial Crew into 2018 or beyond. This would almost certainly mean that NASA would also have to negotiate more seats on Soyuz to cover the delay which based on the last cost increase could run at more than $80m a seat. What if GAO rules one of the contracts is invalid? Well that would almost certainly guarantee an appeal by whoever’s contract is invalidated which could drag out the process even further. The Irony in all this is clearly based on the SNC/Stratolaunch System’s announcement made just yesterday SNC has no plans to abandon the Dream Chaser program and while we are sure having $3.3b would go a long way to complete this they most likely could have found funding elsewhere. The same goes for SpaceX they clearly have plans that go well beyond just providing Dragon V2 for NASA and again the $2.6b will help realize these goals faster then if they had to fund the development themselves. Finally Boeing did indicate that if they didn’t get the award they would be laying off workers, whether they would abandon CST-100 is really unknown as there have been indications that they might have or still might consider competing for the CRS2 Cargo contracts which was announced recently. It seems to us that the only people who will lose out in the mess is NASA and the Taxpayer, NASA because they will potentially be reliant on Russia for longer and Taxpayer because we will have to foot the bill of the appeal process and any changes to the contracts resulting form the appeal. Today at 4pm EDT from Kennedy Space Center NASA announced the winners of the Commercial Crew Transportation Capability (CCtCap) contracts. 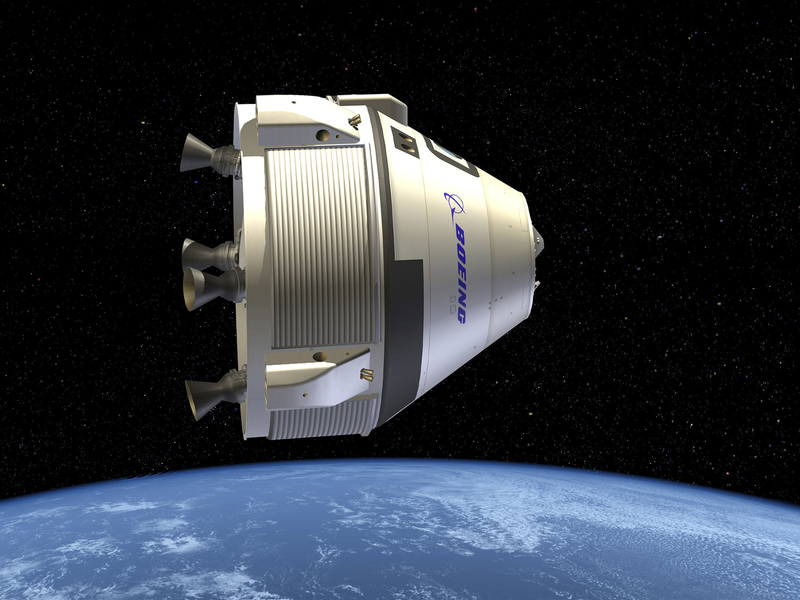 Boeing – The CST-100 capsule seen to the right has been awarded $4.2 billion of the money. Over the next three years Boeing will have to complete a number of milestones below to prove that the CST-100 capsule can indeed deliver crew to the ISS. While the CST-100, according to Boeing, can be launched on multiple rockets they have selected to use the Atlas V as the launch vehicle. This will bring Boeing’s total under the Commercial Crew Development program to $4.77 billion. 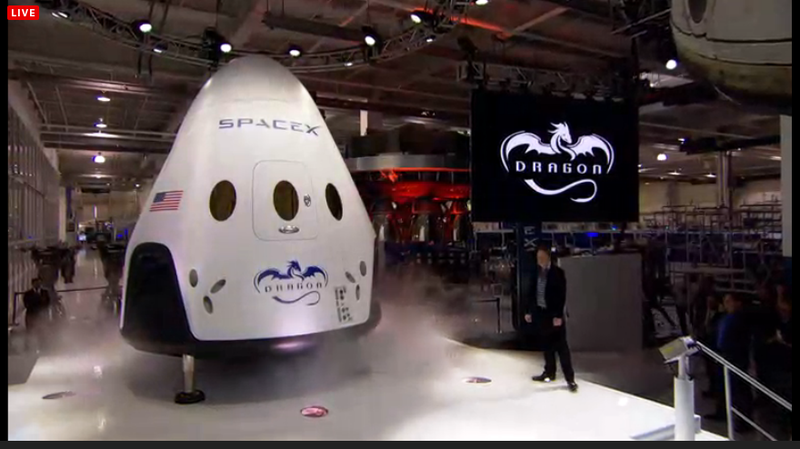 SpaceX – The Dragon V2 again seen on the right has also been awarded a contract of $2.6 billion allowing NASA to have a two options for the CCtCap process. At the time of writing SpaceX have not completed their pad or launch abort tests from the CCiCap contract, however they are scheduled to be completed in the next six months and there should be no reason that SpaceX couldn’t be ready before 2017. Each company will have to pass five certification milestones as well as a number of others that they themselves have selected, payment will be based on the different milestones. We will bring you news of these milestones once the information has been been made available. Under the contracts awarded today both companies will perform one demo flight each and a maximum of six crewed missions to the station carrying four crew members each time, they also include some money towards additional studies. With the introduction of the Dragon V2 and CST-100 NASA have also announced that the space station will move from a six member crew to seven members allow more research to be performed. The award amounts are based on the paperwork that was submitted during the process by each company and both have to meet the same goals laid out by NASA. Basically SpaceX will be achieving the same goals for 62% the cost that Boeing will. In summary this is what we hoped would happen, two competitors have been selected and the next few years are going to be exciting for US manned spaceflight, we are another step closer to returning crewed flight to US soil and despite the fact that one of the competitors is still reliant on Russian engines to get into orbit that may change too as news of a partnership between ULA and Blue Origin to be announced tomorrow could see the RD-180 replaced, we will bring new of that announcement as soon as we have it. At present we have no news on what will happen to the Dream Chaser program at SNC, when we have further information it will be made available here. The launch of the Orbital Science’s Antares rocket carrying the Cygnus Cargo Vehicle named SS Janice Voss has been delayed until tomorrow 7/13 due to severe weather at Wallops Island that delayed several steps in the processing of the rocket on the launch pad. The launch is now scheduled for 12:52 pm EDT, for mission updates check out there status page here. 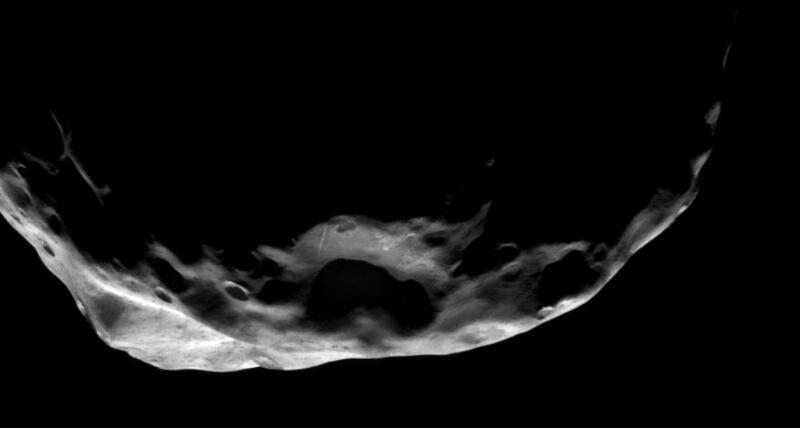 This week Cassini returned a picture of one of Saturn’s small lumpy moon’s named Janus, the moon doesn’t have sufficient gravity to pull itself into a round shape as seen with most other moons. For more pictures of the moon check out the web page here. This week Ad Astra Rocket Company announced that they had completed the Preliminary Design Review (PDR) for their 200kW engine design for testing in space. After more than a year of planning the Ad Astra Engineers and Physicists as well as NASA engineers completed the review. The PDR incorporates the knowledge gained over several years from the VX-200 test engine as well as multiple conceptual designs carried out by Ad Astra. This is an important step towards the flight of the VF-200 engine on the International Space Station in the future. For further information check out the press release here. Three articles appeared this week regarding ExoPlanets. The first reported the findings of a study by the University of Chicago suggests that the habitable zone of ExoPlanets can be extended by cloud behavior on the planet. The results show that the influence of cloud cover could double the number of habitable planets found around Red Dwarf starts meaning that in our galaxy alone there could be 60+ billion planets. For more information check out the press release here. The second report Astronomers have uncovered the hidden identity of an ExoPlanet orbiting the star HD 97658. Based on there observations they estimate the planet HD 97658b is between 2 and 8 times the size of Earth, while the planet itself is not new the size and mass of the planet is. For more information check out the article here. The third article to appear relates not to actual ExoPlanet’s but instead to their moons, the search for ExoMoons. A team led by Dr. David Kipping at the Harvard-Smithsonian Center for Astrophysics has jumped at this challenge. For further information check out the paper here. 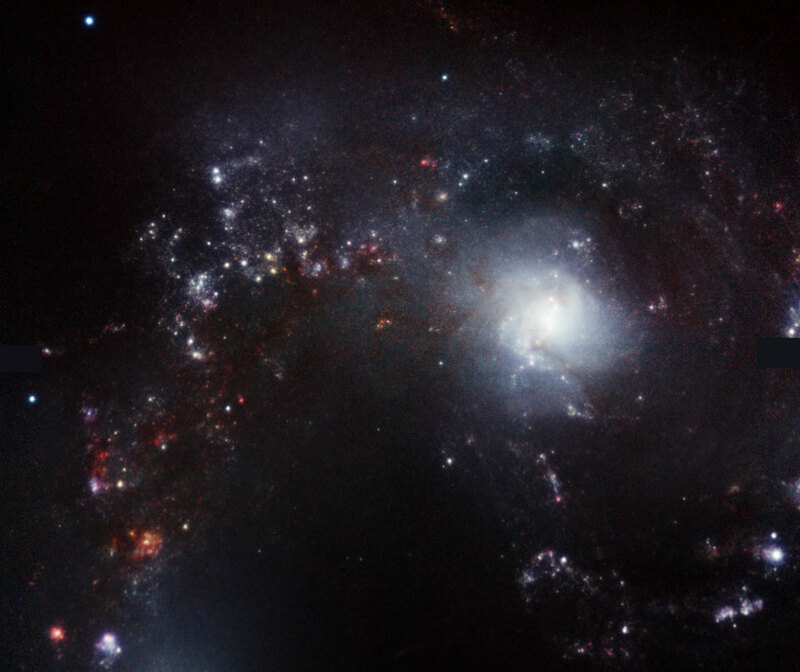 This week saw the World Premiere of the new IMAX 3D movie Hidden Universe. Check out the official web site for more information and current locations to see it. Following a frantic finish including a four hour live presentation and $100,000 donation from Richard Branson the Planetary Resources team raised over $1.6m for the telescope. They are currently planning to launch an grace period to allow those who weren’t able to contribute to still be involved. Check out the page here. This week a Indian Polar Satellite Launch Vehicle (PSLV) carrier the first of the Indian Regional Satellite Navigation System spacecraft into orbit. Following a successful launch the spacecraft was placed into the expected transfer orbit. The system will eventually consist of four spacecraft and will provide navigation accuracy to India to about 20 meters. The Russian space program suffered a major setback this week when one of their unmanned Proton rockets failed 20 seconds into it’s mission. The rocket launched as expected but very soon it was clear something was very wrong when the craft veered to the left and then right before breaking apart and exploding. Future flights of the Proton have been suspending pending the outcome of a review to determine what caused the failure. This week the International Space Station changed it’s position to accommodate Solar Science research being performed by European Scientists into what the solar activities mean for our planet. Check out the full article here. 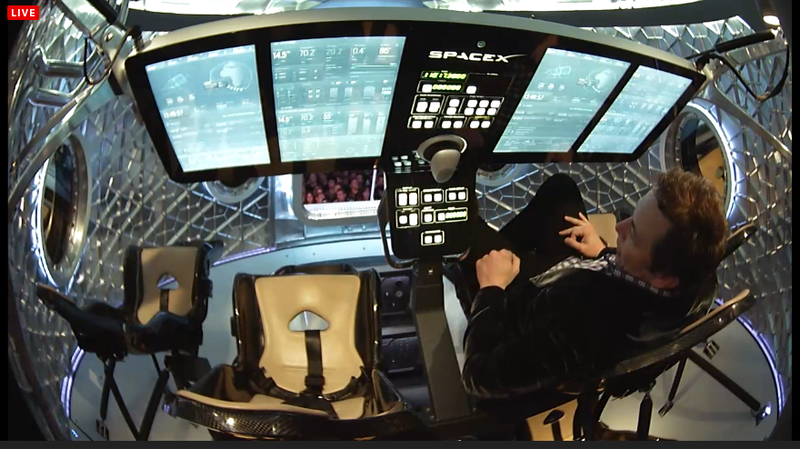 SpaceX announced this week that they had completed two more milestones in their CCiCap plan towards manned spaceflight using the Dragon vehicle. 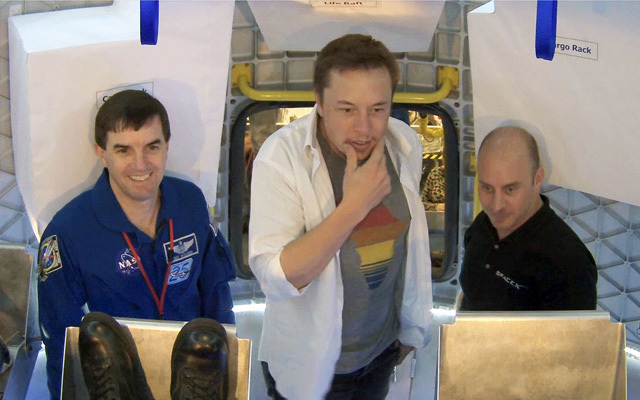 In the first milestone SpaceX outlined the steps they will take towards certifying there system for human spaceflight. In the second they outlined the plan for their Pad Abort test which will demonstrate the ability for the Dragon Spacecraft to fly away from the Falcon Rocket should something go wrong during launch. For more information check out the press release here and while you are there check out NASA new web site layout. This week NASA announced their plans for the actual test flights utilizing Commercial Vehicles to the International Space Station. These flights will include NASA astronauts onboard and result in a visit to the ISS. The new test phase called CCtCap is expected to kick off next summer and will include at least one crewed test flight. For further information check out the press release here. This week the two newest of Pluto’s five known moon were named Kerberos and Styx. The names were actually placed second and third in an international competition to name the moons, however the winning entry Vulcan was vetoed by the International Astronomy Union. The Cluster spacecraft has provided conclusive evidence of a space wind proposed 20 years ago. Analysis of the data returned by the spacecraft showed a slow but steady wind releasing about 1kg of plasma from the plasmasphere around our planet. For more information check out he article here. Astronomers recently got their hands on Gemini Observatory’s revolutionary new adaptive optics system, called GeMS, “and the data are truly spectacular!” says Robert Blum, Deputy Director of the National Optical Astronomy Observatory with funding by the U.S. National Science Foundation. For further information check out the full article here. The Mars Rover Opportunity has reached the half way mark of it’s journey to “Solander Point.” where mission control plans for it to spend the next Martian Winter. The rover which touched down on the red planet Jan 24, 2004 to begin a 90 sol (Martian Day) mission is rapidly approaching 10 years on the planet. The team behind the successful Kepler mission announced this week that they will being trying to revive the spacecraft mid to late July. In just over three weeks SpaceX is scheduled to launch their second and hopefully last COTS demo mission. Today we are going to take a look in detail at the Dragon spacecraft and what a successful mission will mean for SpaceX and the US space industry in general. Designed and built by SpaceX the Dragon space capsule which has already flown one successful mission, upon completion of that mission SpaceX were the first commercial company to launch a spacecraft and successfully return it to earth. While the initial missions for Dragon are for cargo, the craft has been designed from the beginning to allow crewed missions too. 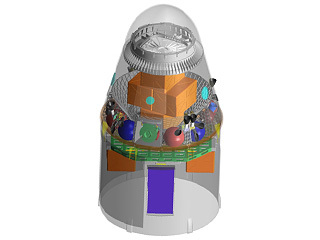 The Dragon space capsule has a launch cargo capacity of 6,000 kg in cargo version and can support up to 7 crew in the crew version. The payload capacity is split between pressurized and unpressurized as shown in the image on the right. Once the craft reaches orbit the solar panels will deploy from the unpressurized section ( the blue area at the bottom ) and provide power to the craft. Recently NASA performed a crew equipment interface test (CEIT), this allowed NASA astronaut Megan McArthur to work inside the pressurized part of the craft as part of her training for a future mission to the station. SpaceX also completed their own Wet Dress rehearsal where the fully configured Falcon 9 with the Dragon capsule were taken out to the Launch pad, erected into launch position and fully fueled before the countdown proceeded to T-5 seconds. 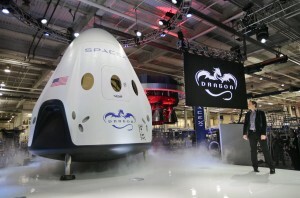 Assuming there are no problems found during the Flight Readiness review on April 16th then SpaceX are scheduled to be launching on April 30th, once in orbit Dragon will complete a series of tests as it approaches the station culminating in a capture and docking. For this mission Dragon is scheduled to stay at the station for around 30 days as the crew unload cargo and then place items due to be returned to earth. 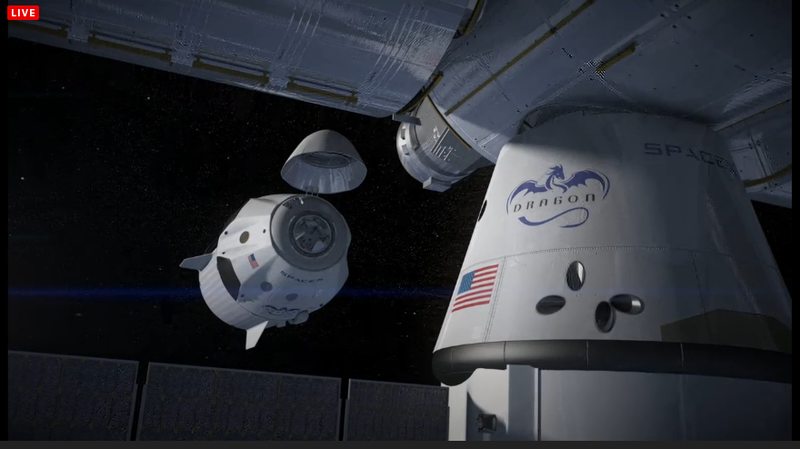 Unlike the other cargo vehicles that visit the station Dragon will actually return all the way to earth initial in the pacific ocean, with plans to use the thrusters in the future to land back on land. While the last demo flight for Dragon was well over a year ago now, SpaceX have not been sitting around doing nothing, they have had a lot of work to do to make sure Dragon operates correctly when approaching the Space Station and ensuring a save and successful mission. 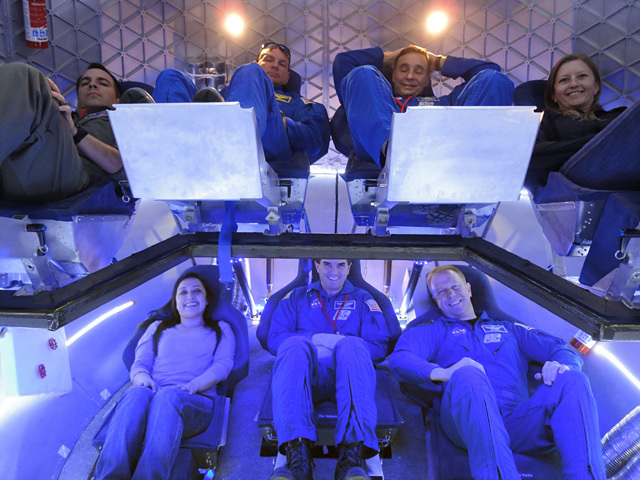 In addition to that they have been very busy working on the crew version including testing the unique crew escape system which will be built into the side of the vehicle and will for the first time allow escape all the way to orbit, and can be used for powered landing on earth or other destinations. 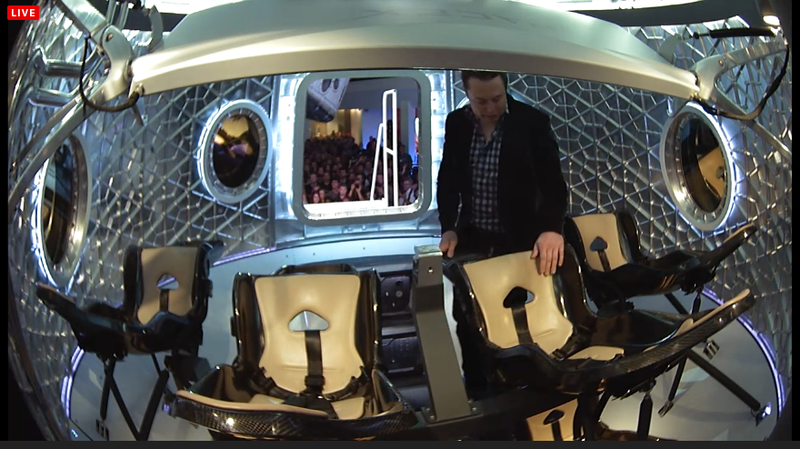 SpaceX recently completed their first NASA Crew trail where 7 crew entered the vehicle and strapped in as they would for launch, as the pictures below show there is plenty of room inside. I believe the future both for SpaceX and the US Launch industry looks very bright. In additional to all these activities the company is also working on their Falcon Heavy launcher, working towards fully reusable launch vehicles, have a large manifest of launches already booked and have been profitable. In addition Elon Musk recently said that he believes eventually they will be able to launch people to Mars for $500,000. In the meantime all eyes will be on Kennedy Space Center for the rest of this month as SpaceX enter the final countdown towards their launch. The information in this article is the personal opinion of the author and any future statements are based on information that is freely available on the internet. Copyright Notices: All the images used in this article are the property of Space Exploration Technologies Corp. and are also available on there website www.spacex.com.